"The exchange occurred during a tense moment on the field." 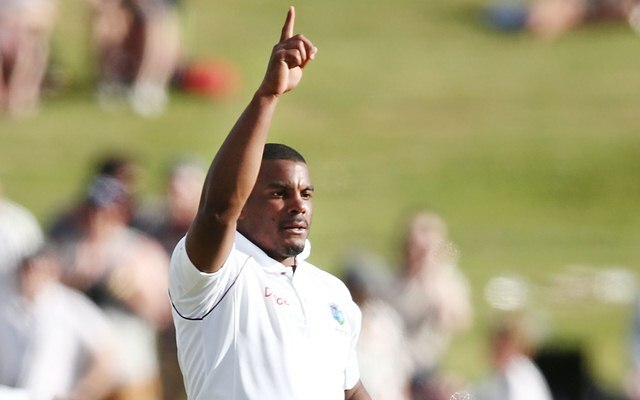 The third Test of the three-match Test series between Windies and England at Gros Islet in St Lucia was a witness to a controversy between the Three Lions’ captain in Joe Root and Caribbean fast bowler Shannon Gabriel. The latter hurled some stern words at the English skipper following which Root retaliated, saying that there’s nothing wrong in being a ‘gay’. While Root’s words were crystal clear and caught in the stump microphones, Gabriel’s comments weren’t heard. Later, Gabriel was charged with a Level 2 offense under article 2.13 of the ICC’s Code of Conduct, covering “personal abuse”. He was fined 75 percent of his match fees and given three demerit points. Gabriel accepted his wrongdoing and there wasn’t any formal hearing with match referee Jee Crowe. The International Cricket Council (ICC) subsequently slapped the right-arm speedster with a ban of four One Day Internationals. Gabriel wasn’t a part of the first two ODIs against England but was expected to replace an injured Keemo Paul. In the meantime, Gabriel has opened up on the matter. He released a statement and spoke in detail about what panned out that day. “The exchange occurred during a tense moment on the field. The pressure was on and England’s captain Joe Root was looking at me intensely as I prepared to bowl, which may have been the usual psychological strategy with which all Test cricketers are familiar. I recognize now that I was attempting to break through my own tension when I said to Joe Root: ‘Why are you smiling at me? Do you like boys?’,” Gabriel was quoted as saying as per reports in ESPNcricinfo. “I am comforted by the fact that there are no hard feelings between us” at the end of what he referred to as something he had initially assumed was “inoffensive picong [taunt] and sporting banter” but had since used as a “learning experience,” he added. BBL 2018-19, Match 28, Sydney Thunder vs Adelaide Strikers, Match Prediction: Who will win the match?